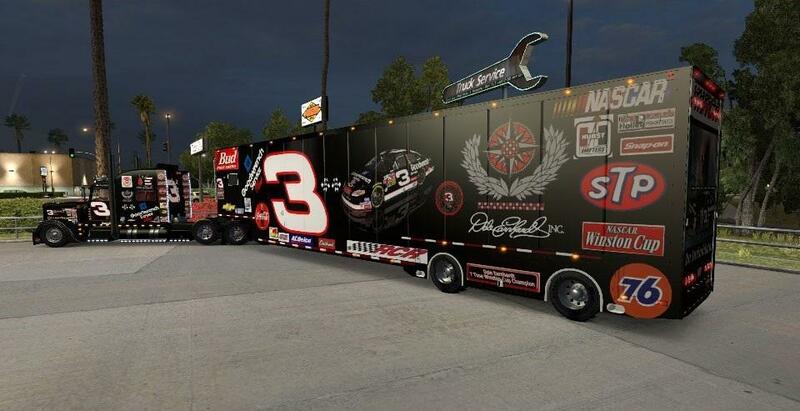 *UPDATED FOR ATS 1.3* Modified Nascar Trailer , Dale Earnhardt Sr. 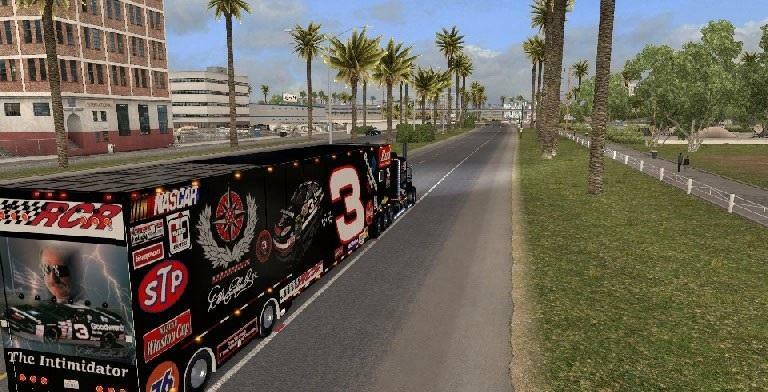 This is The Nascar Featherlite Trailer Pack originally posted by TEAM 5STAR,BART MODDING and CUSTOM COLORS. I have reskinned all the trailers with Dale Earnhardt SR. Tribute skin with permission of original authors. 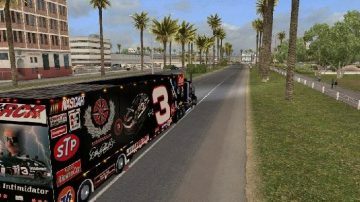 This version replaces all the original trailers in this pack with Dale SR skin. 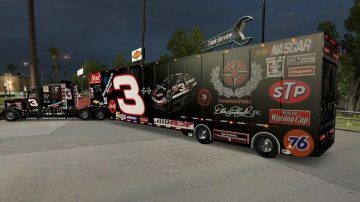 So if you use my Dale Earnhardt Sr. tribute skin for Viper2 modified Pete 389. or viper2 389v2, you can almost always find a load hauling a matching trailer. Also changed gross weight of trailer and load to just over 44,000 lbs. This was originally just for my own use as I wanted to have this paint scheme and love this trailer pack. Thanks to TEAM 5STAR, BART MODDING and CUSTOM COLORS for making an awesome trailer pack and allowing me to modify and repost.